The California Department of Forestry and Fire Protection (Cal Fire) is the state’s fire line—protecting residents, property and more than 31 million acres of wilderness from disaster. It is also the largest fire department in the state, directly providing services or contracting out services for dozens of cities and counties. When desert winds sweep through the state’s canyons and spark wildfires, Cal Fire is in the news as anxious residents look for salvation from flying embers. But the department is busy even when flames aren’t on the horizon. The century–plus–old department, housed within the cabinet-level state Natural Resources Agency, also responds to natural and man-made disasters such as earthquakes, floods, hazardous materials spills and terrorism threats from the Oregon border to Mexico. Part of Cal Fire, the Office of the State Fire Marshal enforces laws and codes in buildings throughout the state to prevent fires. Its classroom courses and practical exercises train California firefighters to standards among the highest in the country. Other Cal Fire workers are out in the state’s forest lands, reviewing timber harvesting plans and reducing the threat of wildfires. The department is the go-to place for needs as varied as saving a Native American burial ground, obtaining a campfire permit or getting Smokey Bear to speak at an elementary school. Cal Fire was born of the Conservation movement of the late 19th century. Newspaper stories at the time alarmed many people with accounts of the destruction of millions of acres of timber in the upper Midwest by fires and lumber harvesting. The idea that America’s forests were eternal and indestructible was starting to fade as civilization reached the Pacific. While land given up to development was considered private, the demand grew for protection of some wildlands—both natural wonders and harvestable timber—by the federal government for the good of the general public. After being passed around among a few federal agencies, the welfare of the nation’s forests came under the new U.S. Forest Service in 1905 after an executive order by President Theodore Roosevelt. Meanwhile, as the federal government was bouncing the forestry department around, the California Legislature in 1885 set up its own State Board of Forestry, one of the first in the nation. Its early role was to provide education about forestry and enforce compliance with state laws regarding brush and forest lands. That board disbanded under a hostile political climate, but its purpose was reborn in 1905 with the creation of the position of State Forester. The State Forester was empowered to appoint local fire wardens and maintain a fire patrol for emergencies. State funding didn’t arrive until 1919, however, when the Legislature appropriated $25,000 for four rangers in Redding, Oroville, Placerville and Auburn. Throughout the 1920s, the ranks of the fire-fighting force grew, and lookout buildings sprouted, although most other buildings and resources weren’t funded by the state but by counties. A government reorganization in 1927 created the Department of Natural Resources with a Division of Forestry that retained its State Forester as director. State fire engines appeared in 1929, and seasonal firefighters were hired in 1931. The varied purposes of the Division of Forestry and the divergent fire-fighting needs and timber value of the state’s regions prompted some infighting until a system divided the state’s lands into three classes, the lowest of which was left to citizens to protect. As the Depression deepened in the 1930s, thousands of unemployed poured into the state hoping for a better chance of work. In response, California set up a work relief program in 1931 that didn’t pay much but provided food and lodging in makeshift camps while putting men to work constructing roads, fire breaks and campgrounds while repairing telephone lines and removing roadside hazards. Some of have suggested this was a model for the federal programs that would follow under President Franklin Roosevelt. The federal Civilian Conservation Corps was established in 1933, greatly expanding the work started by the state. Over the next nine years, 300 lookout towers and houses were erected, 9,000 miles of telephone lines were strung, 1.2 million miles of roads and trails were built and 30 million trees were planted. It was estimated that 1 million “man days” were spent in fire prevention and suppression. With war brewing in Europe in 1939, fears grew in Sacramento about California’s vulnerability to fire and it became clear that the state must assume jurisdiction for its fire protection and fund it adequately. The concept was laid out by one of the department’s most notable leaders, Chief Deputy State Forester C. Raymond “Ray” Clar. Clar, who joined the department when it became the Division of Forestry in 1927, served for 42 years and was author of the so-called Clar Plan in 1940. The plan made it clear that the state should assume complete responsibility for fire suppression on properties it controlled, and that all other areas were the responsibility of the federal, city, county and private entities in whose jurisdiction they fell. Once the division of labors was complete and boundaries set, the state would develop programs and offer its services on a contract basis. Lawmakers still dragged their feet on coughing up the money to put the plan into effect, though, until the country’s entry into World War II and the election of Governor Earl Warren in 1943 gave impetus to build a state structure similar to what’s in place today. The department began contracting with local governments to provide emergency services and would eventually have 145 fire protection agreements with 30 cities, 32 fire districts, 25 other special districts and 36 of 58 counties. Milestones since then include the acquisition and management of State Forest lands, including the Jackson Demonstration State Forest, which totaled more than 71,000 acres by 1995. In addition, an honor camp program founded in 1945 grew to employ youths and prison inmates for conservation projects and wildland fire protection. The Division of Forestry was elevated to department status in 1977 and took its current name, Department of Forestry and Fire Protection, in the late 1980s. The services of California State Fire Marshal merged into Cal Fire in 1995. The department’s standard of training and professionalism grew rapidly in recent years. Older firefighters describe in a department video how in their early days they were sent into the burning hills carrying a tin pot, wearing a cowboy hat and short-sleeved shirt, if they so wished, and with a total of two hours training before jumping on the back of a fire engine. The workers’ union helped bring about safety training, while the department’s response became more sophisticated with advances in technology. The era of a continually expanding Cal Fire, however, came to an end in the early 2000s. By 2011, years of an unsolvable financial crisis led the state to cut the department’s budget by $34 million, including eliminating 730 seasonal firefighters, one crewmember on each fire engine and the exclusive-use contract for a DC-10 air tanker, the last of which was reported to save $7 million a year. Canceling the air tanker contract was the best choice among poor alternatives, said Cal Fire spokeswoman Janet Upton at the time. In 2012, the department anticipated eliminating five bulldozers and two fire engines while it tried to avoid deeper cuts, including station closures. Cal Fire, which is part of the state’s cabinet-level Natural Resources Agency, has two major missions related to wildlands: to protect the state’s grass-, brush- and tree-covered lands from fire and to protect the state’s harvestable timber on non-federal lands from improper logging activities. The department is also the largest fire department in the state, providing full fire protection for many of its citizens by directly supplying services or contracting out services for dozens of cities and counties. Cal Fire oversees 31 million acres of wildlands. The department also provides varied emergency services, including full fire protection, in 36 of the state's 58 counties via contracts with local governments. Each year, the department's firefighters, fire engines and aircraft respond to an average of more than 5,600 wildland fires, which burn more than 172,000 acres. Cal Fire can mount an air response within 20 minutes to anywhere in the state. But beyond the mandate that is part of its name, Cal Fire also responds to other natural and man-made emergencies, including structure fires; vehicle accidents; swift-water rescues; cliff and surf rescues; building collapses; riots; hazardous material spills; train wrecks; floods; and earthquakes—more than 350,000 calls a year. The department took the lead in the Northern and Central California floods 1997, 1998 and 2006; the 1994 Northridge earthquake in Southern California; the 1989 Loma Prieta earthquake in the Bay Area; the 1991 tunnel fire in the Oakland/Berkeley hills; and the 2003 and 2007 Southern California fire sieges. An army of personnel and equipment backs Cal Fire’s mission: 21 operational units, 803 fire stations (228 state and 575 local government), 39 conservation camps, 13 air attack bases, and nine helitack bases. The firefighting force ranges from the upper ranks of experienced fire personnel, down through the thousands of firefighters, seasonal firefighters and volunteers, to inmates and youth wards. To transport and support these forces, Cal Fire operates more than 1,095 fire engines (336 state and 759 local government); 215 rescue squads; 63 paramedic units; 38 aerial ladder trucks; 58 bulldozers; five mobile communication centers; and 11 mobile kitchens. Through contracts in six counties—Kern, Los Angeles, Marin, Orange, Santa Barbara, and Ventura—the department funds an additional 82 engines and 12 bulldozers. In the air, Cal Fire operates 23 air tankers, 11 helicopters and 13 air tactical planes. The OSFM focuses on fire safety on the urban front—where the state’s residents live, work, shop and spend their recreational time. The Fire Marshal staff enforces fire-related laws and codes in state-owned or -operated buildings; adopts minimum building and fire safety regulations for all residences and businesses; licenses those who inspect and service fire extinguishers; regulates the use of flame retardants; evaluates building materials against fire safety standards; approves fireworks as “safe and sane”; licenses pyrotechnicians; operates the California All Incident Reporting System (CAIRS); and regulates hazardous liquid pipelines. Through its State Fire Training program, the OSFM also oversees training and education programs, which reach more than 24,000 students each year and have issued more than 100,000 certifications to fire-fighting personnel. The office’s third role is to enforce state fire and forest laws, including investigating arson fires, issuing citations and setting up surveillance operations. The OSFM documents its activities in an annual report. The stewardship of California’s natural resources also falls under OSFM. The office oversees enforcement of forest practice regulations that guide timber harvesting on state and private lands. Department foresters review 500 to 1,000 timber harvesting plans, submitted by landowners who want to harvest trees, and conduct more than 6,500 site inspections each year. Along with fire protection personnel, foresters reduce the threat of uncontrolled wildfires through vegetation management projects such as so-called controlled burns. Cal Fire manages eight Demonstration State Forests that provide commercial timber production, public recreation and forest research and which demonstrate good forest management practices. Cal Fire’s budget is broken down by program, since the diverse needs of each program drive its spending. For the 2012-13 fiscal year, the department’s expenditures were budgeted to total $1.075 billion for all its programs. The biggest chunk was Fire Protection, at $996.3 million. Next was Resource Management at $48.7 million, the Office of the State Fire Marshal at $21 million, Department of Justice Legal Services at $6.9 million, Board of Forestry and Fire Protection at $901,000, plus administration costs at $66.4 million. About a quarter, $292 million, of Cal Fire’s budget is spent on fire protection it provides through 146 cooperative agreements with 36 counties, 25 cities, 31 fire districts and 34 other special districts. About 85% of that expenditure is reimbursed by the entities it serves and most of the rest is covered by the state general fund. Cal Fire owns 228 fire stations and operates 575 local government fire stations via contract. It also owns 336 fire engines and contracts to operate 759 local government fire engines. Unlike most state departments, Cal Fire can request an increase in its budget during a fiscal year should it need more resources to pay for unanticipated extra costs of fire protection. Cal Fire seeks out small businesses and Disabled Veteran Business Enterprise Advocates to purchase its goods and services. Small business advocates can help prospective contractors. Cal Fire’s Mobile Equipment program, based in Davis, owns and operates more than 3,000 fire and emergency response and resource protection vehicles. The department’s workhorse, the Model 34 and 35 fire engine, has a chassis made by Navistar and body made by Placer Fire Equipment, which filed for Chapter 7 bankruptcy in 2010, and Rosenbauer together with HME. The average annual budget of the Air Program is nearly $20 million. Cal Fire’s emergency response air program includes 23 Grumman S-2T 1,200 gallon airtankers, 11 UH-1H Super Huey helicopters and 14 OV-10A tactical aircraft. One of the department’s biggest contracts is with a company that has been the subject of an investigation for its actions as a federal contractor overseas. In 2008, DynCorp, based in Falls Church, Va., received a $137.7 million contract from Cal Fire to provide air tanker and tactical plane pilot services and aircraft maintenance services through 2014. In 2009, DynCorp bolstered its ethics practices after a State Department probe of an instance in which expatriate DynCorp employees in Afghanistan hired a teenage boy to perform a tribal dance at a company party and videotaped the event and another of the company’s handling of the death of an employee of a possible drug overdose. Cal Fire's other major support contractor, Logistics Specialties Inc. (LSI), provides procurement and parts management services. Other significant suppliers include Altaris CAD, a computer-assisted dispatch system made by Northrop Grumman Corp., Kenwood TK-790 mobile radio and Bendix King GPH-CMD portable radios. In December 2010, Cal Fire entered into a five-year agreement with NASA’s Ames Research Center, Moffett Field, to use NASA technology and capabilities to support the management and mitigation of wildfire disasters. A visible, infrared and thermal sensor developed at Ames provides real-time wildfire imaging data over large-scale disasters. Information processing is done aboard an aircraft and relayed through a satellite communications system to disaster managers on the ground. Cal Fire provides funding to its six contract counties for fire protection services including wages of suppression crews, lookouts, maintenance of fire-fighting facilities, fire prevention assistants, pre-fire management positions, dispatch, special repairs and administrative services. After Governor Jerry Brown came into office in 2011 with a mandate to cut the state’s budget, one of the most visible symbols of California fire-fighting got the ax. In June 2011, the state canceled its exclusive-use contract for its air tanker. The supertanker and its backup, which were kept ready to fly at an airfield in Victorville, can each carry nearly 12,000 gallons of fire retardant—10 times the capacity of Cal Fire's Grumman S-2T trackers and at least four times that of the U.S. Forest Service's 19 large air tankers. The three-year pact would have paid $7 million for each 120-day fire season. The planes are still available on a pay-as-you-go basis, but at a higher hourly rate, with up to 24 hours prep time. A Cal Fire analysis in 2009, when Gov. Arnold Schwarzenegger canceled the DC-10 contract only to have it reinstated—concluded the same thing: that using a DC-10 on an as-needed basis could wind up costing half as much again as what it had cost. “If there is an aggressive fire season, it will cost more,” Cal Fire aviation chief Bill Payne said at the time. Cal Fire’s firefighting capabilities might be hindered by another cost-cutting move in 2011 aimed at an unrelated part of California’s budget. The effort to trim the budget of the Department of Corrections and Rehabilitation and reduce prison overcrowding prompted Governor Jerry Brown and the Legislature to shift oversight of thousands of state prisoners to county jails. But for decades, Cal Fire has run a joint program with Corrections to employ low-level offenders to clear brush, cut fire lines and stop wildfires from spreading. The 2011 realignment of prisoner custody is expected to remove more than 1,500 inmate firefighters from Cal Fire’s program. The two entities are working to minimize the loss by putting together a separate training program for county inmates. An ongoing issue at Cal Fire for years came to a head in 2012: Rank-and-file firefighters were making so much in overtime that their pay had climbed close to that of their supervisors, reducing the incentive for them to move up into management ranks. The situation left the department with thinning leadership as older managers retired. As of January 2011, one-fourth of assistant chief jobs were vacant and applications for the positions were virtually non-existent. Meetings were held in December 2011 between Cal Fire Director Ken Pimlott, Natural Resources Agency Secretary John Laird, Finance Director Ana Motosantos and Human Resources chief Ron Yank over restoring pay differentials for management. The state revived pay bonuses worth thousands for managers, starting Feb. 1, 2012. Just as the state has been struggling to reduce its expenses in line with reduced revenue and eliminate its deficit, local governments have been scrambling to trim their costs for services such as fire protection. This has led many to consider canceling their contract with Cal Fire and taking over their own fire protection to save money. In December 2011, for example, the city of Atwater voted to terminate its Cal Fire contract and return to a city-run fire department to help contain a $1 million-plus budget deficit. Residents and firefighters filled council chambers in advance of the vote to voice concerns that the proposed change could compromise safety as more people and big-box retailers moved into the city. Some speakers insisted that ending the Cal Fire contract would save the city money; others argued the opposite. The dispute has led to a recall effort targeting one councilman who voted in favor of the change, which is pending as of February 2012. On the other hand, Norco and Soledad are among several cities that opted to sign on with Cal Fire in 2011 in an attempt to curb city expenses. As the state debated how to reduce its mounting budget deficit during the administration of Governor Arnold Schwarzenegger, the operations and expenses of Cal Fire came under review along with those of other state departments and agencies. The Legislative Analyst’s Office (LAO), charged with the task, proposed several Cal Fire funding reductions and deferrals in its 2009-10 budget analysis series, some of which were adopted in 2011 when Governor Brown took office. The LAO report pointed out what it called “mission creep” as Cal Fire’s budget for fire protection tripled in 10 years—from $307 million in 1998–99 to $967 million the year the report was written. · Eliminating funding the DC-10 air tanker contract. · Closing low-priority fire stations and other facilities. · Deferring capital outlays to replace the Hemet-Ryan Air Attack Base. When Governor Jerry Brown, faced with a huge budget deficit in 2011, chose a new state fire fee as one avenue for generating needed revenue he ignited an old debate over how California should pay for its fire services. The state’s general fund typically pays 70% of Cal Fire’s $1 billion budget and Brown was looking to cut that expenditure by about $200 million. Knowing that this money paid for essential services and needed to be, at least, partially replaced, he chose a local source, fire protection fees, instead of a statewide tax. 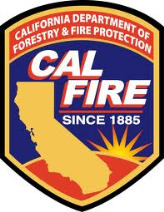 The annual fee, approved by the Board of Forestry and Fire Protection within Cal Fire, maxes out at $150 a year and was levied on 846,000 owners of structures living in “state responsibility areas” (SRA) where Cal Fire delivers services. That’s about a third of the state. The number of people and houses in the SRA grew 16% between 2000 and 2010. The fee is expected to go into effect in July 2012. Opponents of the fee, including the Howard Jarvis Taxpayers Assn., say it’s a tax, not a fee, and needed to be approved by a two-thirds vote of the Legislature. Instead, it passed along party lines on a majority vote. The Jarvis Association filed an objection with the state Office of Administrative Law (OAL) and the Board of Forestry, arguing that because the law is an illegitimate tax hike, Cal Fire can’t write regulations to enforce it. We have been down this path before. The Legislature enacted SB 1049 in 2003-2004 which imposed a fire protection fee on every parcel of land within the SRA but it was repealed before any fees were collected after a rural firestorm of protest erupted. In 2008, the Legislature introduced SB 1617, which would have levied a $50 fee on residential structures within the SRA, but it died in the Assembly. A similar bill was introduced a year later and also died. In 2009, Governor Schwarzenegger advocated a surcharge on property insurance premiums for emergency preparedness that included wildfires. It died in the Legislature, too. In 2010, upset by what they considered an attempt to dodge Proposition 13’s two-thirds requirement for raising taxes, voters passed Proposition 26, requiring a super-majority for passage of many fees and other levies. Opponents of the fee say it’s not only an illegal tax, it’s double-taxation because many already pay taxes for local fire departments. They also argue that the fee isn’t really a use fee because there is no guarantee the money will be spent in areas where it is generated. And some contend that there is a fairness issue involved; homeowners who have paid for hydrants, fire stations, good roads, proper roofs and cleared properties shouldn’t have to pay the same fee as someone miles away who has done none of that. It has been suggested by some that the Democratic-controlled Legislature is using the fee assessment as political payback against Republicans, many of whom represent rural districts most affected by the fees, for their resistance to raising taxes in general. Some supporters of a strong Cal Fire are worried that disgruntled property owners will pressure for a redrawing of the SRA to exclude them or seek annexation to a nearby city to access its services. That would result in a smaller revenue base for the state. Southern California’s Riverside County has 41,000 homes in the SRA, but around 6,000 of them are within one mile of a city and 25,000 more are within two miles. The idea that the beneficiary of a particular service has a greater obligation to pay for the service is not new. It tends to be a policy point made more often by conservatives when they argue against taxes than liberals, who tend to have a more general acceptance of shared responsibility for providing government services. But faced with a budget crunch and restricted revenue options, Democrats have turned to fees more often. Proposition 13 established a strict two-thirds vote requirement for Legislature to approve new taxes and Proposition 26 in 2010 tightened up the definition of what constitutes a tax, as opposed to a fee. But it didn’t eliminate them. An analysis by the Legislative Analyst’s Office and court rulings have made it clear that the Legislature still has some latitude in assessing fees, especially in situations deemed an emergency by the state. The Office of Administrative Law reviewed the fire fee legislation and the regulations approved to execute it and deemed them legal measures under the proposition’s emergency provisions. In 2003, the Legislative Analyst proposed that the state cut its general fund commitment to the department in half and replace it with fire fees, around $170 million at the time. The department’s budget has nearly tripled since then. The analyst pointed out that Washington and Oregon already used the mixed revenue approach and it appeared to work well. Fees can be structured in various ways to mitigate double-taxation by taking into account any services already purchased from local authorities by landowners and could build in incentives for them to reduce the risk of wildland fire. But the analyst recommended at the time that the fee be based on acreage, as the fairest determination of need, rather than a per structure charge in Sacramento’s latest plan. State Foresters led the Board of Forestry (1905–1927) and the Division of Forestry (1927–1977) before the title was changed to director. The third Cal Fire director to come from within the department’s ranks, Chief Ken Pimlott was appointed July 12, 2011, at age 45, by Governor Jerry Brown after serving as acting director since November 2010. He is also state forester and reports to Natural Resources Agency Secretary John Laird. A native of Lafayette, Pimlott began his career at age 17 as a reserve firefighter in Contra Costa County. He picked up an associate degree in fire technology from American River College before getting his bachelor’s in forest resource management from Humboldt State University in 1989. He is a registered professional forester. After serving as a seasonal fire fighter in the Tulare Unit in 1987, Pimlott joined Cal Fire as a firefighter in 1990. He put in 23 years with Cal Fire, rising to deputy director of fire protection, in charge of statewide fire protection programs, including command and control operations, cooperative fire protection, conservation camps, fleet management, aviation management, training and safety. He served as co-chair of the 2010 Strategic Fire Plan Steering Committee within the Board of Forestry and Fire Protection and represents Cal Fire on the California Fire Fighter Joint Apprenticeship Committee board of directors. He is a resident of Cameron Park.